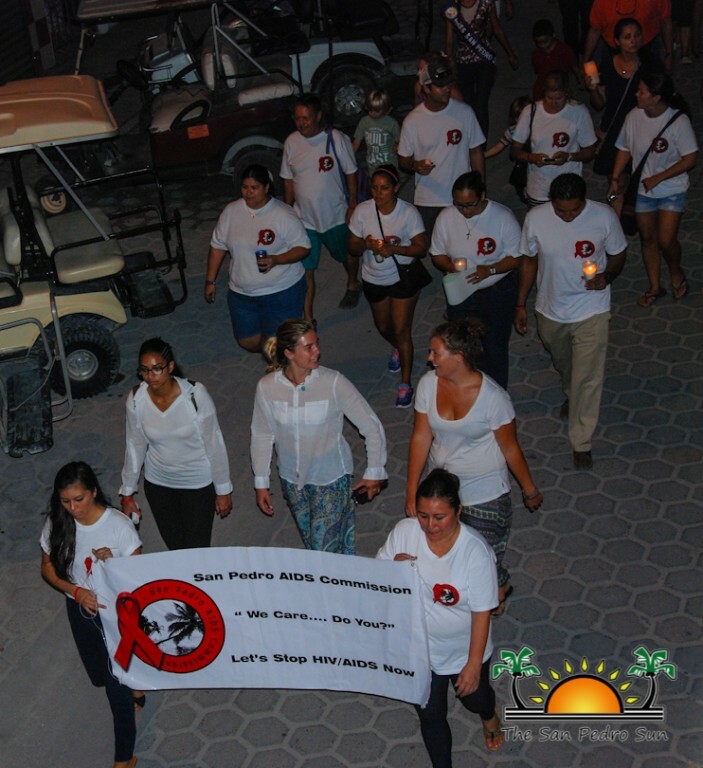 Island residents joined in the fight to raise awareness on HIV/AIDS (human immunodeficiency virus/ acquired immune deficiency syndrome) during the annual World AIDS Day Solidarity Walk. 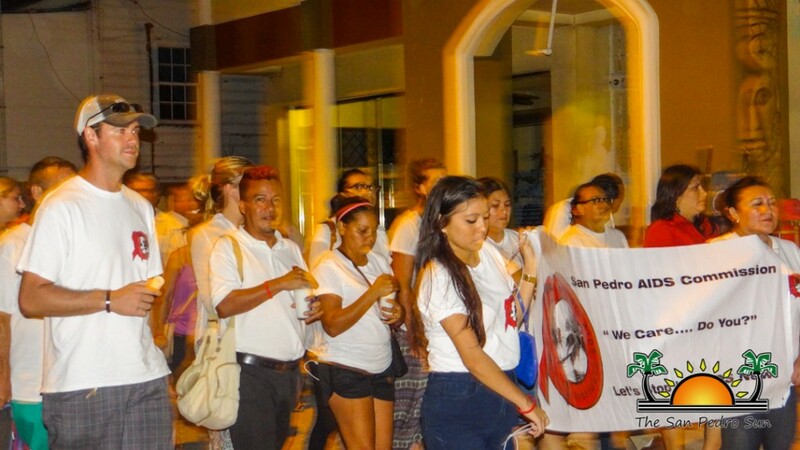 Held on the evening of Tuesday, December 1st, the walk was observed worldwide in hopes of challenging people to rethink outdated stereotypes, challenge myths and be positive about HIV. 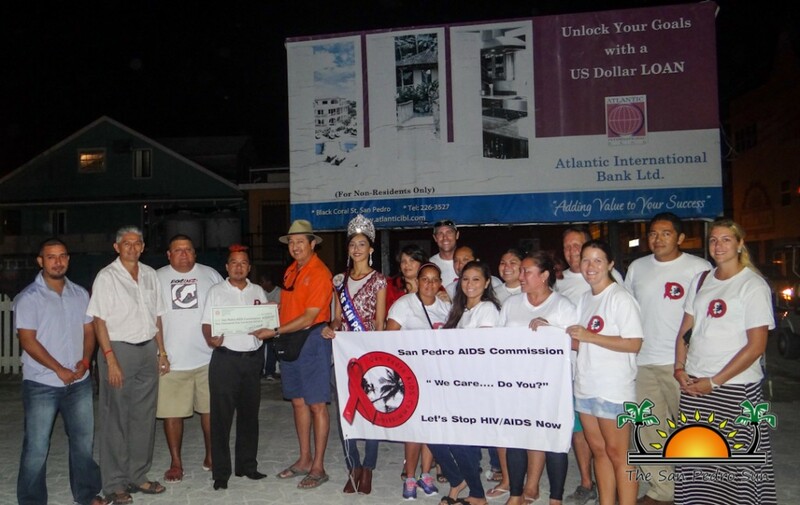 Here on Ambergris Caye, the San Pedro AIDS Commission spearheaded the activities held. Members of the community congregated at Central Park at 6PM with candles in hand. “We have been doing this walk for a little over 15 years. This is a major part of our work in the community to raise awareness on HIV/AIDS. The San Pedro AIDS Commission is not the go to group for people to join because of the stigma that comes along with the disease. But throughout the years and with the work we have done, we have seen a great improvement. People are becoming slightly more open to come and talk to us about HIV/AIDS. 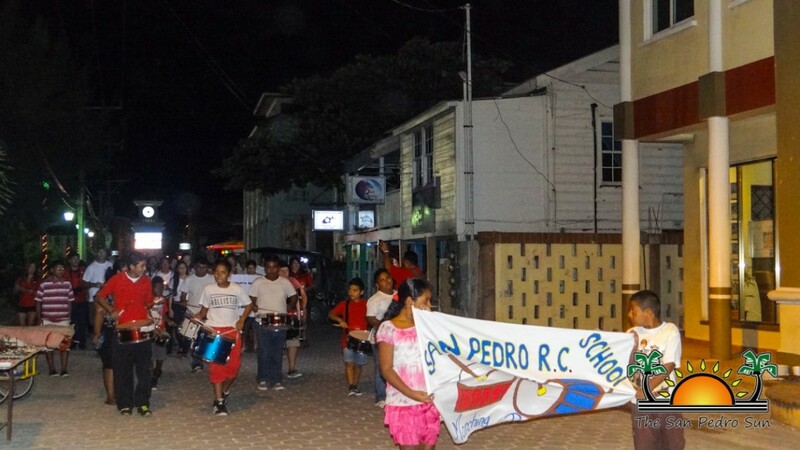 The advocation and awareness has gone a long way, mostly, in part to the community who has supported us,” said President of the San Pedro AIDS Commission, Felix Ayuso. Wrist bands displaying the San Pedro AIDS Commission motto ‘Live and Let Live’ were handed out by San Pedro AIDS Commission members to those present. 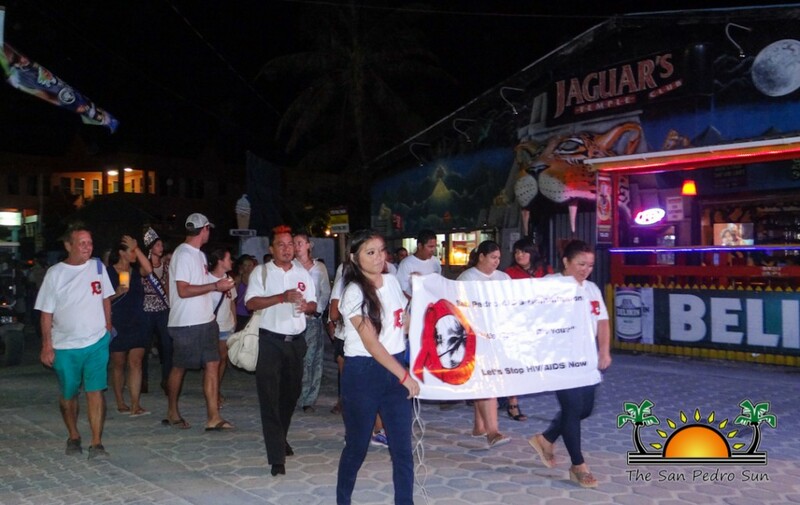 Prior to the commencement of the walk, Mayor Daniel Guerrero handed over a check of $2,500 to Ayuso to be used in the work done by the group. “The San Pedro Town Council is here to assist the community and the betterment of our residents. 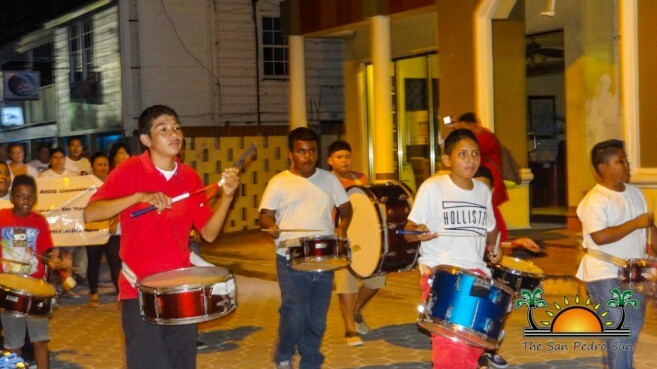 As such, donating to groups like this ensures that our community will continue to grow and develop. I applaud all the members of the San Pedro AIDS Commission on the hard word they have done in San Pedro to assist those living with HIV/AIDS and sensitizing the community to the disease,” said Guerrero. Ayuso thanked Guerrero for the generous donation, indicating that monies would go a long way in their aim to raise awareness, assist those living with HIV/AIDS and prevent the further transmission of HIV. “We are taking a stand against HIV/AIDS and will continue no matter what obstacle may come through out paths. I would like to thank the SPTC for this donation, as well as everyone who has come for the walk. Special thanks to all the members of the San Pedro AIDS Commission who go out of their way to make the group a success,” said Ayuso. 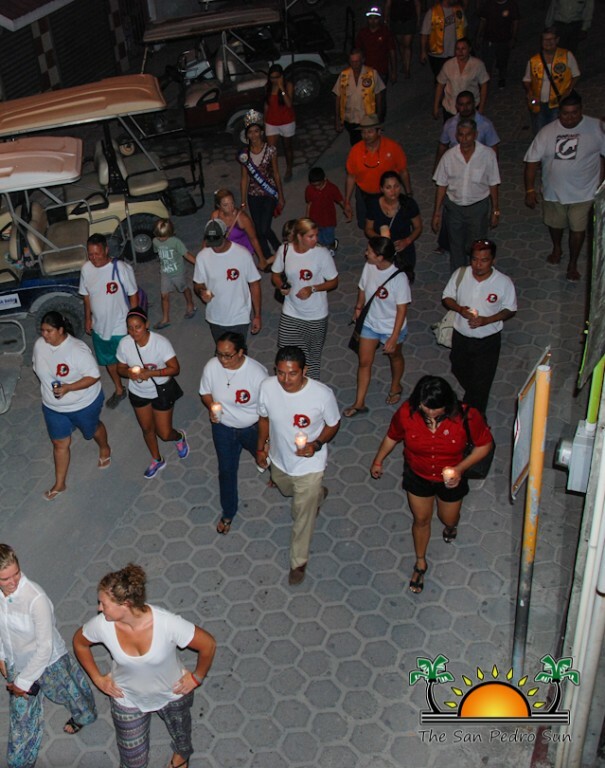 Participants in the Solidarity Walk included members of the SPTC, San Pedro Police Department, San Pedro Cancer Society, San Pedro Lions Club as well as island students and residents in general. White Sands Dive Shop installs more mooring buoys at the reef.